Together with stunning tropical waterfalls and swimming holes, this is a truly beautiful destination found just south of Darwin, the capital city of the Northern Territory. 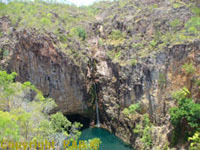 Litchfield National Park features numerous waterfalls which cascade from a sandstone plateau called the Tabletop Range, monsoon rainforests, intriguing magnetic termite mounds and historical sites. 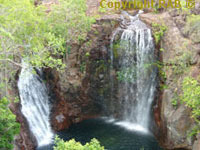 Litchfield National Park is chosen by local Darwin residents and tourists as 1-3 day destination for it's waterfalls and magnetic termite mounds. 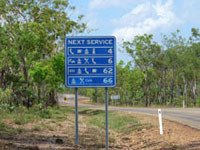 Also noted are the 4WD tracks into some of the more remote parts of Litchfield National Park and surrounding region. 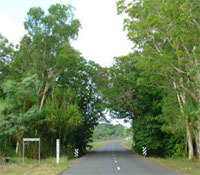 Litchfield National Park lies approximately 130km's southwest of Darwin near the town of Batchelor and covers around 1,500 sq km's. 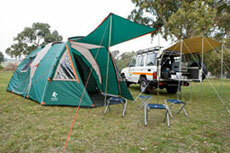 • www.australia4wdrentals.com with over 30 types 4wd's with camping gear, 4wd campers, small campers to budget and premium 2-4-6 berth motorhomes hire. • Buley Rockhole • Tabletop Swamp • Magnetic Termite Mounds • Walker Creek • Greenant Creek • Tjaetaba Falls • Surprise Creek Falls • The Lost City • Litchfield Tourist Precinct • Tjaynera Falls Sandy Creek • Blythe Homestead • Bamboo Creek Tin Mine • Rum Jungle Lake Swimming in Litchfield also poses less of a threat from Crocodiles than other parks in the Northern Territory. Though please check with the National Parks headquaters in Batchelor on the way through to Litchfield and always look for and heed any warning signs. Warnings - External Link On Crocodiles, Swimming in pools and gorges, Disease-carrying insects, Large feral animals, Dehydration, Lost or injured group members, Wildfires, Flash flooding, Emergency telephone numbers. 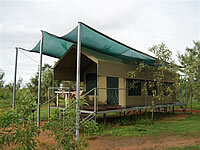 http://www.parksandwildlife.nt.gov.au/- Litchfield. 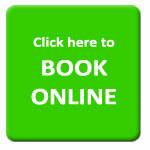 Batchelor Office - Ph: (08) 8976 0282 Fax: (08) 8976 0292 Please do not contact this website for up todate area access as resposne cannot not be replied too. • City of Darwin, The capital of Northern Territory Australia also known as the Top End. 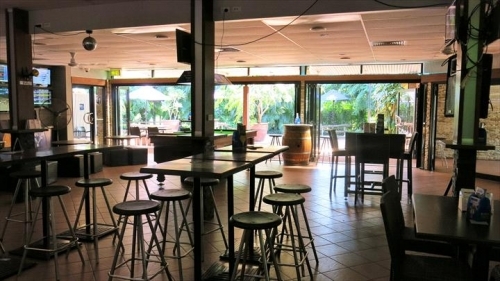 • The city of Darwin is 90min away from Litchfield National Park. • 4WD Reynolds River Road Track • Greenant Creek • Coach Road • Crater Lake Road Many of the roads in the Park are sealed so a Litchfield tour can be done in a 2WD vehicle although a 4WD tour gets you to some of the more secluded spots like Sandy Creek (Tjaynera Falls), Surprise Falls and the Lost City. 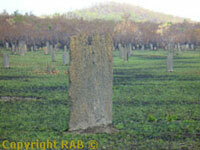 Australian Tours and Sightseeing trips and Adventures. • Batchelor Institute The Wagait Aboriginal people who lived in this area and have been the custodial guardians for thousands of years, lived of the rich abundance of the area providing a steady source of shelter, food, and medicine. 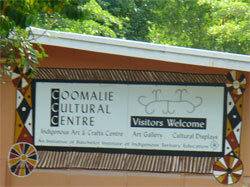 Litchfield National Park holds great significance to the Wagait Aboriginal people.